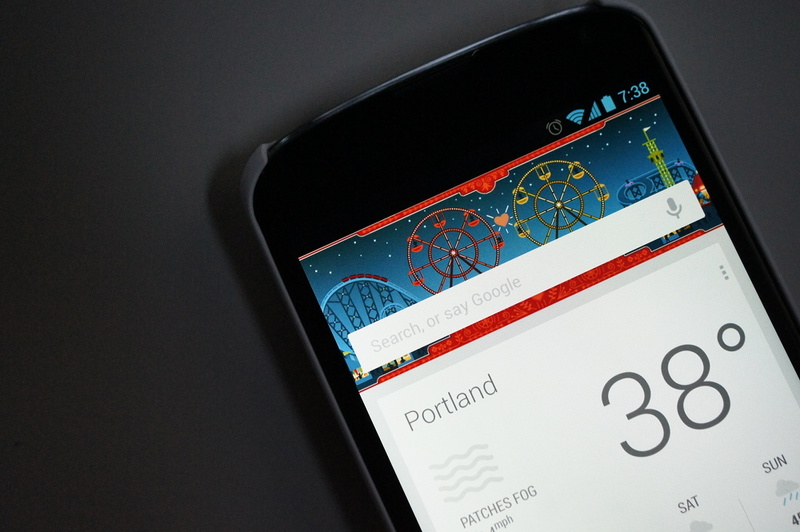 Yesterday’s update to Google Now continues to surprise us with fun-filled tweaks. The latest, is the displaying of Google Doodles in the top area that is normally reserved for your location and the time of day. In today’s doodle, being Valentine’s Day and all, we get the Ferris Wheel of love. The doodle isn’t exactly interactive like the version you’ll find on google.com, but you can still click on it to learn the history of the Ferris Wheel, which was created by George Ferris. Think we’ll see more doodles going forward? I hope so. Cheers EC8CH, Michael, blakjakdavy, Chris, Brian, and Andrew!